VML/VACo Finance is the financial services arm of the Virginia Association of Counties (VACo) and Virginia Municipal League (VML). We provide high quality financial services at low cost, a goal achieved through cost-sharing. We offer financial services in three areas: Financing, Investments, and Advisory. Financing: Since its founding, VML/VACo Finance has made over $950 million in loans to Virginia localities through its long-term, short-term, and interim financing programs. Investments: We have three investment programs with total assets of about $1.4 billion: the VACo/VML Pooled OPEB Trust, the VIP Stable NAV Liquidity Pool, and the VIP 1-3 Year High Quality Bond Fund. The VACo/VML Pooled OPEB Trust is the largest pooled OPEB trust in the nation – and we’re a leading provider of OPEB actuarial services as well. The Virginia Investment Pool (VIP) Stable NAV Liquidity Pool is rated AAAm by Standard & Poor’s (S&P) and offers a stable net asset value, daily liquidity and a competitive yield. The VIP 1-3 Year High Quality Bond Fund is rated AAf/S1 by S&P and is designed for funds that can be invested generally for one year or longer. Advisory: Advisory consists of Accounting Services and Municipal Advisory. The Accounting Services program provides interim accounting and finance professionals and services to local governments throughout the Commonwealth. 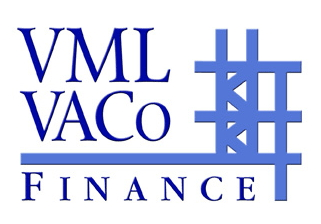 VML/VACo Finance is an MSRB-registered municipal advisor that assists local governments in planning and structuring the financing of new money capital projects and in refinancing existing debt. All of our programs are designed to benefit a wide range of localities, including counties of all sizes and credit strengths. For more information, contact Steve Mulroy at 804.648.0635 or info@valocalfinance.org. Visit our Web site at www.valocalfinance.org.